This book is thicker than I expected. I know it's 272 pages from the description but it's really quick thick with the heavy paper stock. Tomb Raider. Ah. 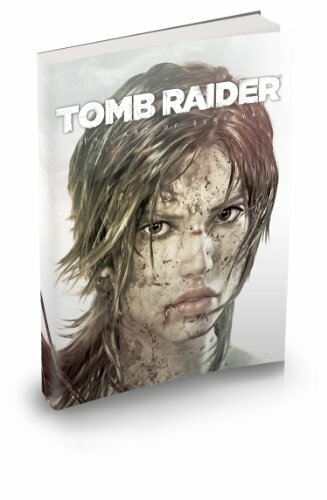 I've always wanted to have a Tomb Raider artbook. Love the environments. This book is filled with wonderful concept art of the characters and environments. Surprising, or maybe not, about 80 percent of the book are on the environments. Looking at the environment art, it reminded me instantly of Uncharted 2's artbook, except here it's much darker to suit the mood of the game. The colours are muted, the world is harsh, bleak, and the sun doesn't shine through much. There are art for the forests, villages, worn down buildings, monasteries and a bit on ship Endurance. The art is great. You get a good sense of this exotic, mysterious and weather battered island. It really makes you wonder who lived there. It's a wonderful companion artbook to the game. Highly recommended. If you like this type of art, definitely check out The Art of Uncharted 2: Among Thieves also. The game is wonderfoul. One of the best games i played in years. Im still waiting my copy of this book.